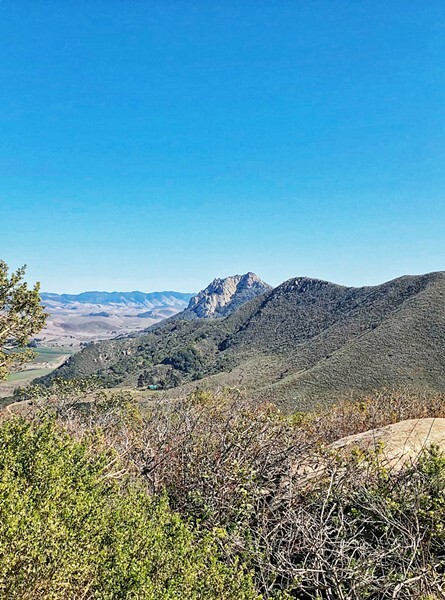 It's Sunday, Feb. 25, and I've got a man-cold, meaning I should be in bed attended by a cadre of sympathetic nurses encouraging me to rest, but instead my wife, our pack of dogs, and I are about to summit Black Hill in Morro Bay State Park. Lucky for me, of all the nine Morros, Black Hill is the easiest. For the record, it could have been a longer hike. Even though I've lived in SLO County for 40 years, I've never been up Black Hill, so I didn't know where to park. 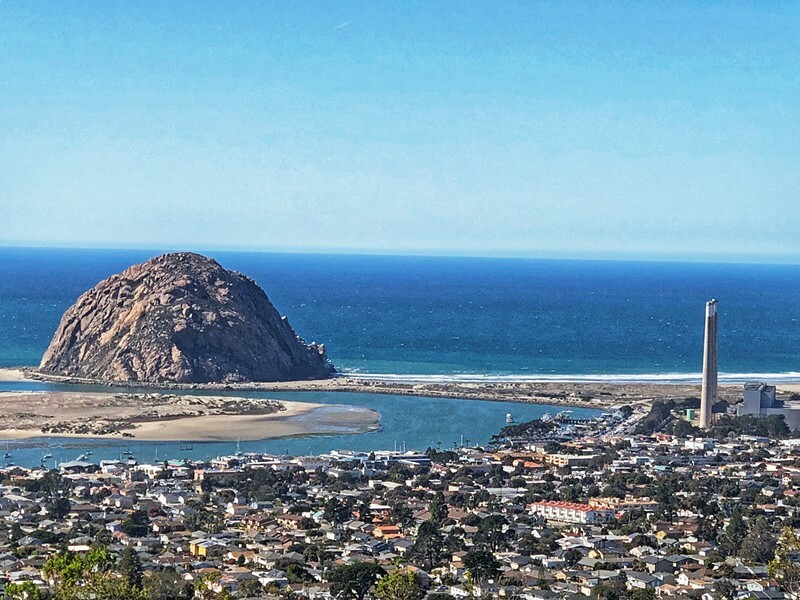 THE ROCK Black Hill, located inside Morro Bay State Park, offers 360-degree views, including a great look at downtown Morro Bay, Morro Rock, and the decommissioned power plant. After we turn into the state park from South Bay Boulevard and take the fork into the golf course, I park in the little dirt lot on the right before the clubhouse. We unload the dogs and start to walk up a service road, and I'm thinking, "Black Hill still looks really far away. I thought this was going to be easy." BACK TOWARD SLO The Nine Morros (also called the Nine Sisters) begin in Edna Valley at Islay Hill and move out to Morro Rock. Black Hill is the eighth, and like all the sisters is a volcanic plug covered by pillow rock. Once you get up there, it's only a 0.6-mile round trip from the parking lot to the peak of the 661-foot hill, and the trail is well maintained. Hikers only gain 190 feet of elevation over the course of the short hike, which takes maybe 15 minutes if you have a man-cold, a pack of beasts pulling on their leashes every which way, and one dog who needs to poop. After a few switchbacks through Monterey Pines, you're there, and you can see south to Baywood, the back bay, and the estuary; and north through Cayucos and beyond. Looking east, you can see down the golden valley toward San Luis Obispo. The highlight is the epic view of 578-foot Morro Rock and the power plant, with the three stacks lined up almost in a perfect row. Several outcroppings of volcanic pillow rock offers views in the various directions. There are a lot of signs about keeping dogs leashed and staying on trails because of sensitive habitat, so if you bring your pooches, don't expect to let them off their leashes.